An app a day might push your customer away. Everyday we count the number of apps that get added up in both the official and third party app stores. While the idea was very original and capturing to the customers, sometimes hundreds of them bring the situation back to the issue of choosing. The idea of apps for Taxi companies was perfectly welcomed until we found each of them to have one and sometimes all of them get busy and we are left back in the same old place, finding a way to reach the destination. Too many cooks spoil the broth. And that is exactly what these endless apps have made our lives, confused and cumbersome. While finding the best through comparison can take a while with some aspects of everyday life, a cab when you need will just have one judgement criterion – How fast can you get one. Taxi services usually do not have customers who are very particular about the service provider. Reaching the destination on time remains the priority to most people. Though more service providers means better chances, the time we take to switch between apps and find one is a little too long to wait. Ixigo for android is that app which realized there is a better way to choose . 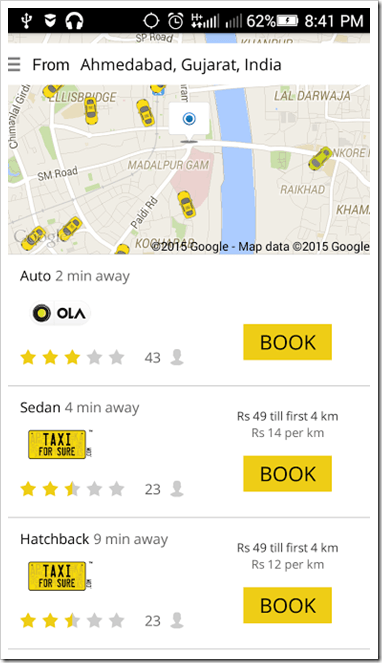 The app integrates Ola, Meru, TaxiForSure, Easy Cabs and many more taxi services into one single app. The company has almost integrated over 250 service providers from over 100 cities across the country building this joint app with customers in prior concern. 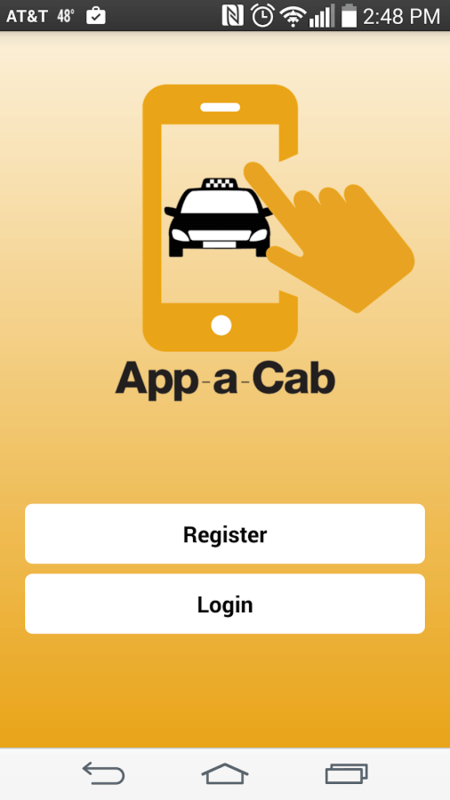 The app is meant for customers who can compare, book and also cancel cabs from different service providers. The customer interface has been smartly designed to help them choose from all the nearby services available. Once registered, the top portion of the screen contains a map which provides details about the various cab services which are in the area nearby and the bottom portion provides information of estimated time taken by each of the service providers to reach. The map distinguishes between various service providers with different colors for cars.The app also provides rating for each service providers and the estimated amount. Yet what might not make this a complete success is the fact that the environment for all that bookings are not necessarily combined together. While in some cases the booking can happen through Ixigo app , in most cases either the booking window directs you to their individual apps or to google play store. Although the app faces this major issue, it provides customer with a nearby offline service provider and their phone number with a call option next to it. This will surely help you grab a cab during the peak hours and of course is a boon for those areas across the country who do not have much of online service providers. In the negative side, the app makes customers to swap between previous and present screen during booking and comparison and the cabs are marked in a fashion with no key to understand them. Download Ixigo all taxi app.